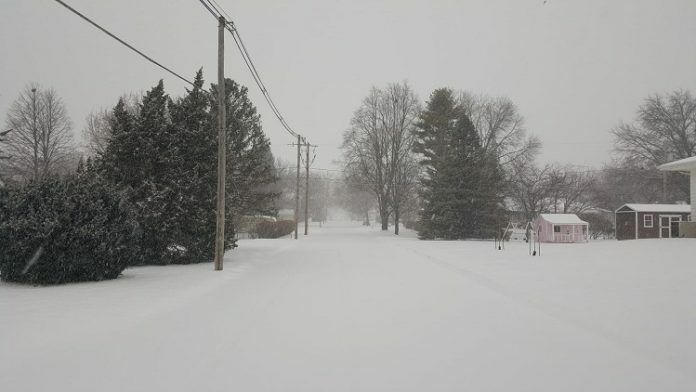 The city of Perry’s snow ordinance is now in effect, and residents should remove all parked vehicles from city streets and roadways until the snow stops and the streets are cleared by city snow plows, according to the Perry Police Department. Property owners in the residential district must also clear sidewalks of snow, ice or accumulations within 48 hours of the end of the storm, and property owners in the business district must clear sidewalks of snow, ice or accumulations within 12 hours of the end of the storm. If sidewalks are not cleared within the specified time, the city of Perry may perform the work and assess the costs against the property owners for collection in the same manner as property tax.